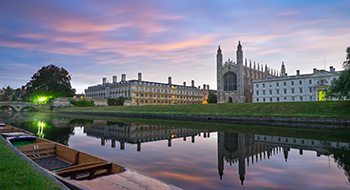 From our base in Cambridge, we serve the East of England through extensive and valued relationships. Our ambition is to help build on the success and growth of the region. In 2018 Turley acquired Beacon Planning. Beacon is as established and highly respected planning and heritage consultancy which advises a wide range of developers, housebuilders, universities and schools. Our combined team brings the skills and experience to deliver growth across the East of England. We are currently promoting over 8,000 new homes and our residential and commercial offers are well established. Our full service offer that includes design, economics, sustainability, and heritage equips us to promote development at all scales.